While there will be plenty involved with the online poker industry who are only interested in matters such as poker sites accepting US players, there is obviously a need for more in-depth talk and debate about what is on offer in the industry. This is why the hearing, which is scheduled to take place in 212 Rayburn House Office Building, is set to be an important discussion for everyone interested in the iGaming legislation which currently exists in the United States of America. Alongside this focused debate, there is likely to be discussion on the “Reinterpretation of the Wire Act”. This arose in 2011 and it primarily focuses on sports betting. At first glance, this may not seem like the hottest or most relevant topic for poker players in America but there is no denying that the finding that the Wire Act only applied to sports betting has greatly helped the development of online poker in the US. Ever since the Department of Justice decided to make this interpretation of the Wire Act, there has been a change in the way that poker is treated. 3 different US states have been involved with launching online gaming within its borders. In Nevada, there is a full offer of online poker and in New Jersey and Delaware, there is a comprehensive range of online gaming options. This means that you can play online poker and engage in other online gaming activities in these states. A further topic on the cards to be discussed during the event is the Internet Poker Freedom Act. 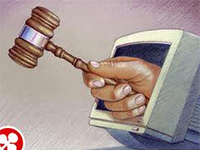 This sees another attempt to make playing online poker legal at the federal level. Internet rumours are suggesting that the Poker Players Alliance has been listed on the agenda to testify at the event and you can guarantee that they will be speaking in favour of coming up with a solution that advocates poker play at a federal level. There were a number of debates and discussions on online poker in 2011, but since then, there has not been a lot of debate at this level. At this point in time, there is no federal bill yet on the floor to Congress, so in the short term, there is no doubt that the focus is going to have to fall on the state level of legislation. This may seem slightly frustrating for some players, but in the long term, it may be no bad thing. Witnesses are being selected by invitation only and it is believed that people from the gaming sectors in New Jersey, Nevada and Delaware will be called upon to speak at the hearing. The event is going to be broadcast live so if you have an interest in what is being said and the arguments that are being put across, you can do so. The event will be shown at energycommerce.house.gov on the 10th of this month.